Have you gone for a nice walk lately? If you’re like a lot of people, you avoid walking as much as possible but all of us at Resurgens Orthopaedics want to encourage you change your habits. There are a lot of steps you can take to walk more; for instance, you could take the stairs instead of the elevator or you could opt to walk instead of driving for short trips. No matter how you do it, walking every day carries a number of health benefits and in honor of April 4th as National Walking Day, we want to tell you a bit about how you can improve your health by walking more often. Your metabolic rate measures how many calories your body burns over time. The higher your metabolism, the easier it will be for you to maintain a healthy body weight and walking more often is one sure way to increase your metabolic rate. While you may not notice a change right away, the more you walk and the more effort you put in during your walks, the better your results will be. Experts recommend walking at a brisk pace for at least 30 minutes a day if you’re interested in a higher metabolism. Not only is it a low-impact way to improve your overall health, it can also be a relaxing way to enjoy the outdoors and get some fresh air. When it comes to chronic diseases like diabetes and cardiovascular disease, getting regular exercise is one of the best ways to prevent and control them. A 2002 study published in the New England Journal of Medicine found that people who walked at a brisk pace for 30 minutes or more, 5 days a week, had a 30% lower risk of developing cardiovascular disease compared to those who don’t walk regularly. In addition, The American Diabetes Association has determined that walking is an excellent way to lower your blood sugar levels, decreasing your risk of diabetes as you age. This may seem obvious, but the more exercise you get, the healthier your muscles will be. Building muscle in the legs carries many benefits beyond just looking better; it also improves your balance and makes you less likely to suffer joint injuries in the knees, hips, and ankles. If you normally avoid walking, taking a brisk walk for 30 minutes a day, 5 days a week, is the perfect way to get back in shape so you can develop a more complete fitness routine. If you’re interested in improving your health by walking, the best thing to do is consult your doctor first. Make sure you ask them about safe ways you can get into shape; chances are they’ll recommend walking regularly as the first step. 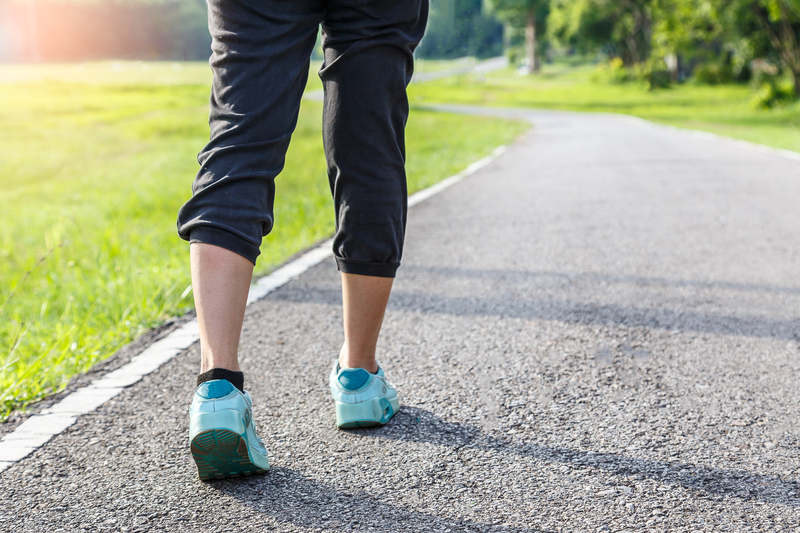 From all of us at Resurgens Orthopaedics, we hope you’ll take this National Walking Day as an opportunity to think about all the ways you can make an effort to walk more. In the end, those efforts are bound to pay off big time!